With a history that spans for centuries, Rome is a city that takes a lifetime to discover. No matter how many times I go to Rome, I always find something new. It seems to contain an infinite number of secrets and sights to behold. 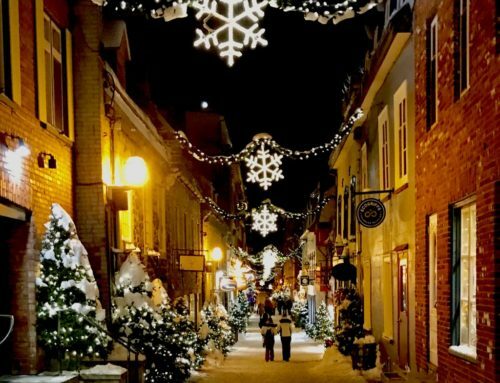 While many are well-known and are on the top of travelers’ bucket lists, this capital city has its share of secret places that even the locals overlook or sometimes they help you find! My time in Rome is always a delight with new discoveries. 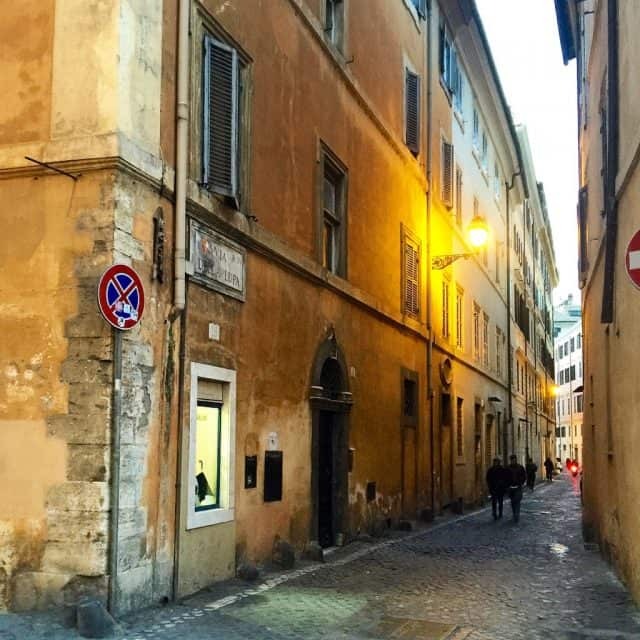 Read on to discover a few hidden spaces in Rome for a different perspective of the Eternal City, including some amazing foodie places! 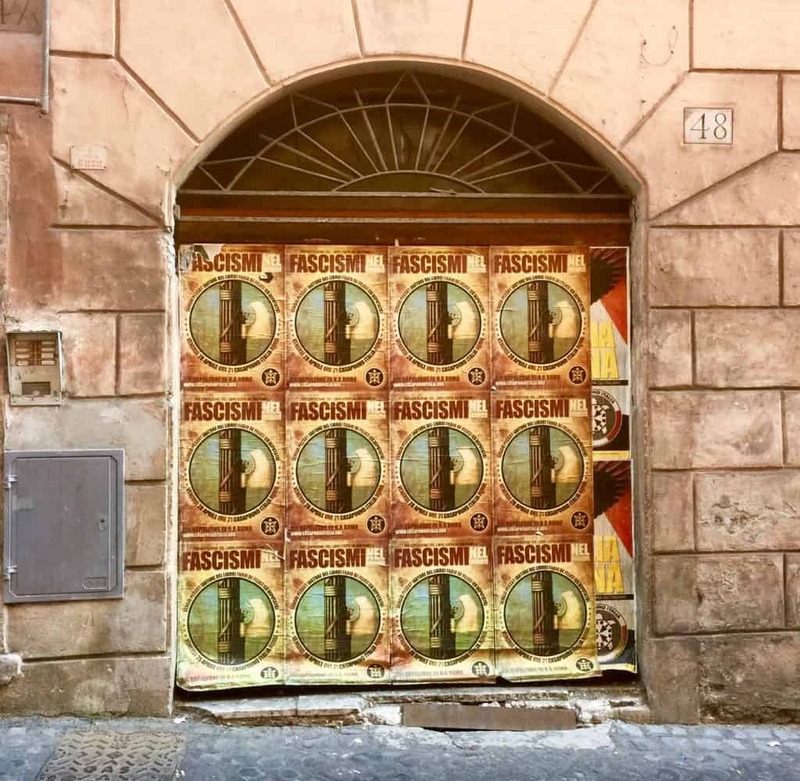 I was making my way to the best gelato in all of Rome (that is a secret within itself) as I turned into the secret hidden entrance, I was a bit taken aback. What had happened to it? As now I saw a sign for a pizza joint instead and I was heartbroken. With one big gulp, I peeked my head in to question the pizza guy in my broken Italian, when suddenly, I stopped and stared at the wonderful pizza that was before me. This was no ordinary pizza joint and I could tell that right away. So I decided to order pizza for takeaway since I was on the lookout for gelato instead. I chose the one with pine nuts, blood oranges, prosciutto, salami, arugula, black olives and Parmesan shaved chunks of cheese. I figured I could eat it after I found the perfect gelato! Well, guess what? When I tasted it, it was out of this world! 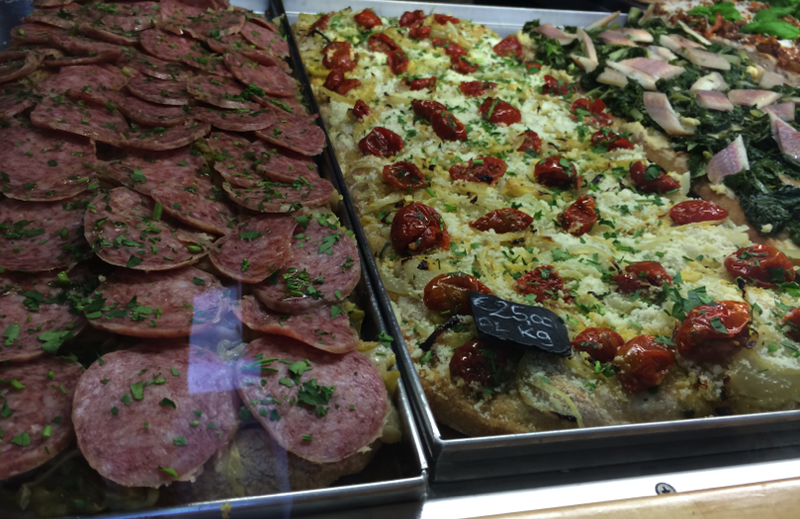 There were also many other types of Pizza to choose from. Don’t freak out about the gelato, as I found it later! Apparently, the gelateria has moved next door to a new, larger location on the corner of Via dei Coronari and Via di San Simone and now you can even take a gander thru the glass window to see how they put together their flavors and make this delightful concoction (cultural note: Italians don’t eat gelato when it’s cold outside, as this American tourist delights in it during the day, night, rain, wind or snow!) I find eating gelato is a great way to spend time in Rome and this Rome off the beaten path place is perfect for that. At Gelateria del Teatro, they produce what I call “edible art” – mind-boggling gelato flavors made daily from organic local ingredients. Each bite is a Raphael, a Van Gogh, a Renoir. 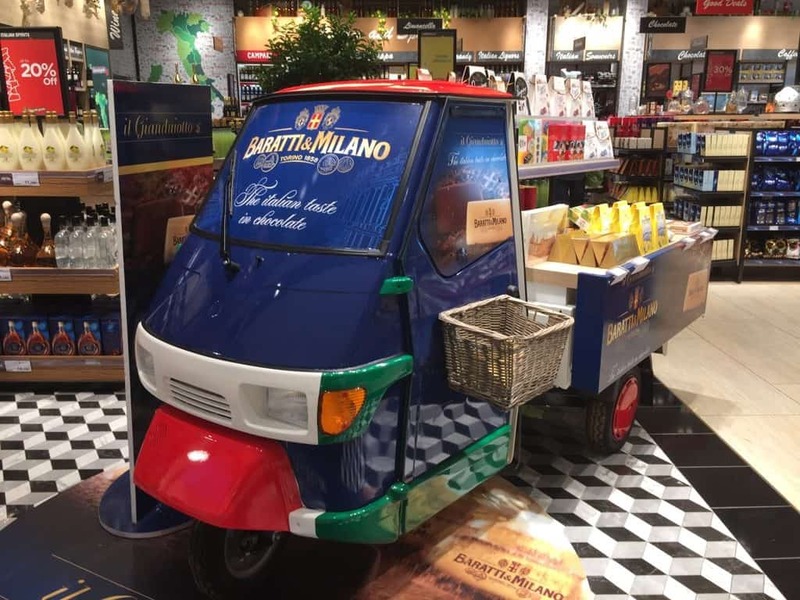 They have flavors ranging from dark chocolate and red wine to rosemary honey lemon and Sicilian almond. The complex inspired flavors are seasonal; a crisp fall day might yield a scoop of creamy chestnut; on a sweltering August afternoon, tangy white peach. For an easy breezy day like I had in late April: Four Chocolate with bits. The flavors are intensely real, there’s no other way to describe the sensation that washes over the mouth with one tiny green plastic spoonful. 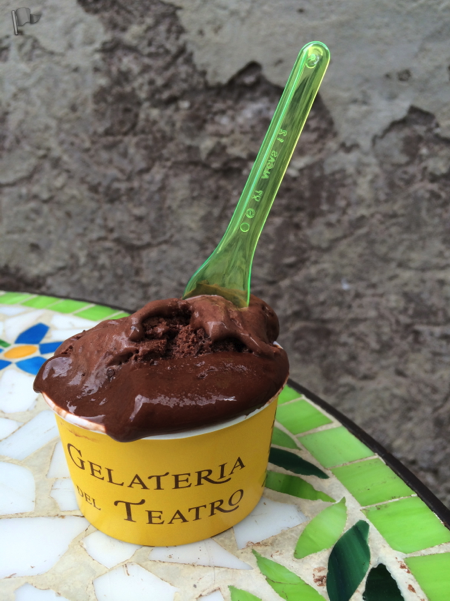 Read here about a Unique Italian Gelato Culture in the Calabria Region of Italy. While on a Context Tours Market Walk I took, we ended up at what the docent considered the “best pizza in town, Bonci’s Pizzarium.” I told the docent that I had just been bragging about what incredible pizza I had had the day before, telling her it was from the La Pizzaria del Teatro, when she mentioned to me that that pizza place was from the same owner! How I had stumbled upon La Pizzaria del Teatro was only a miracle. 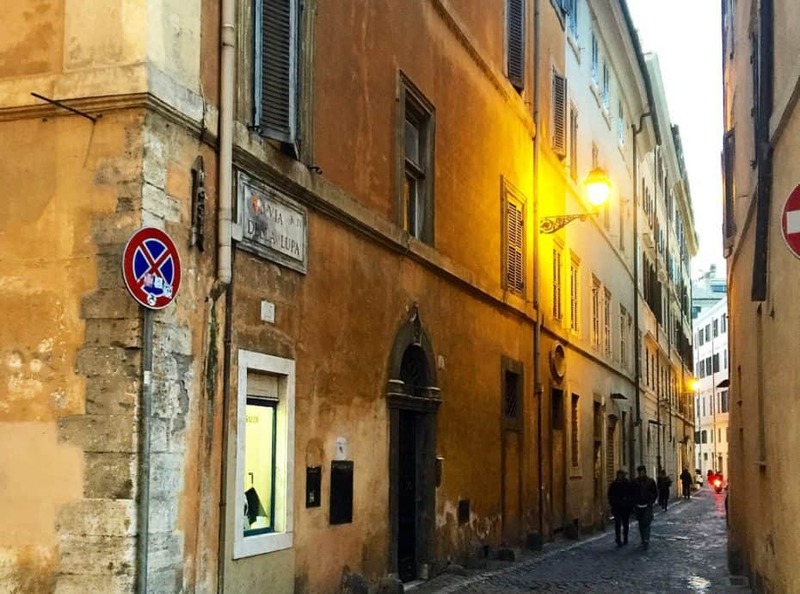 Apparently, this world-famous pizzaiolo, author, and TV personality Gabriele Bonci had opened La Pizzaria del Teatro, just off Via dei Coronari in the former Gelateria del Teatro space. 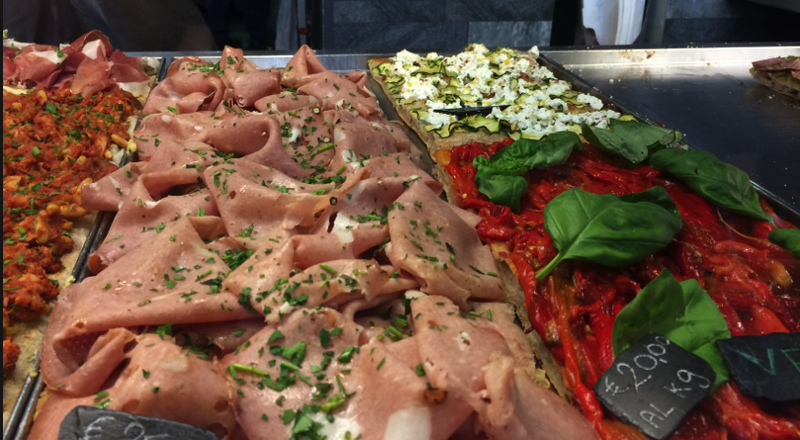 I was lucky enough to try both Pizzarium and La Pizzaria del Teatro in one visit to Rome! One last thing I wanted to say about the way they “do pizza” was the way they cut it. 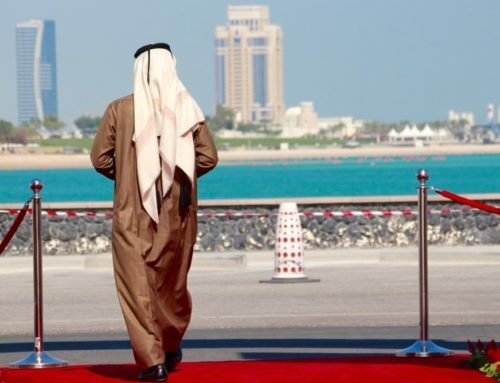 I loved this idea and would like to see their counterparts doing this in America. They actually cut it with scissors. That way you can get as much or as little as you like and it is based on weight! What a great concept. 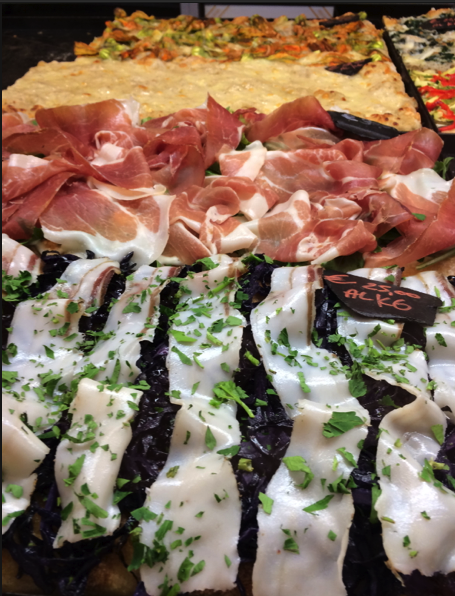 Here is a private Michelin Star Foodie Tour I found in Rome. Another recommended tour company: Europe Sideways, so check them out! Now you have even more a reason to go to this area off of the Ponte Saint Angelo Bridge, why? 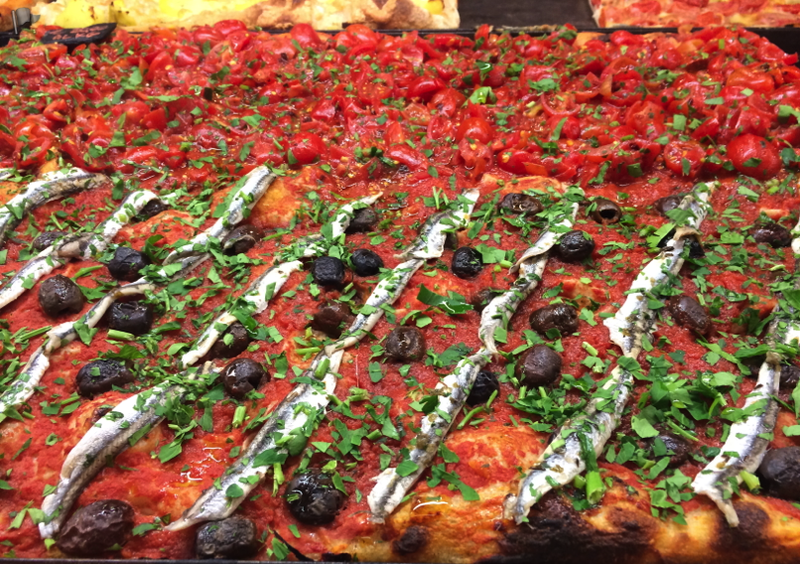 Because not only is it my favorite street in all of Rome to take photographs on, now you can go have the best Pizza in all of Rome there as well. 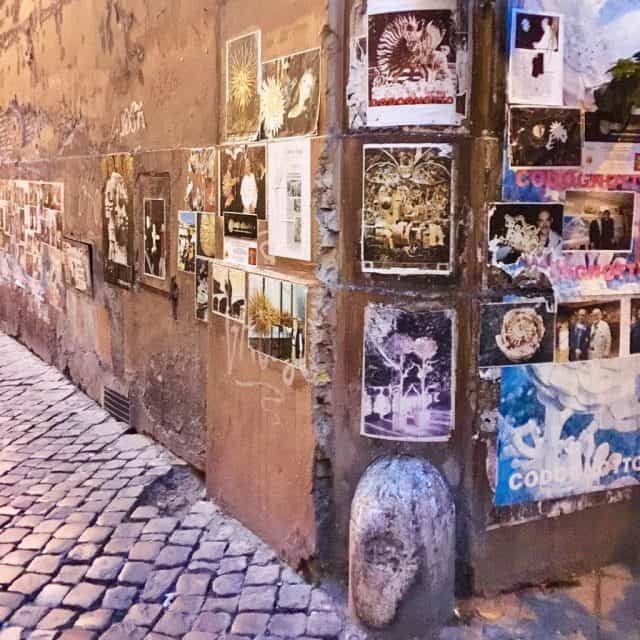 You can spend even more time in Rome wandering the streets and exploring. 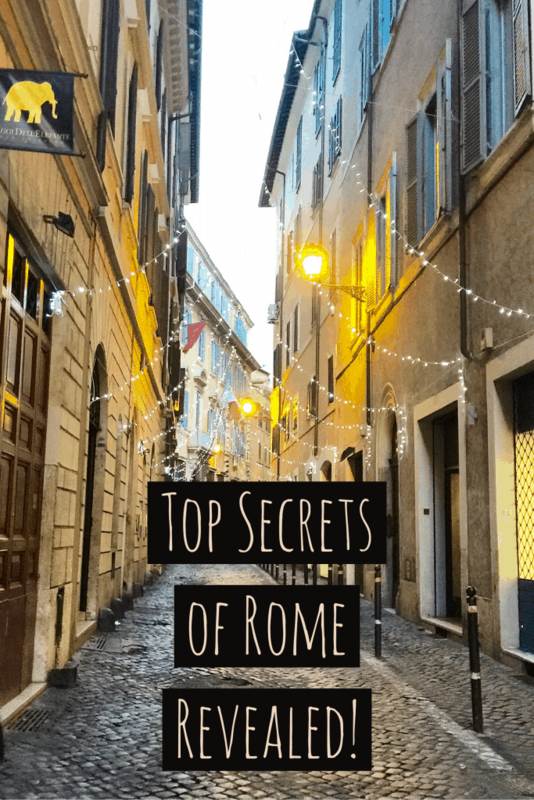 For a whole different perspective, having nothing to do with food, but instead, with a few secrets, I have found during my time spent in Rome on my travels. After a few visits to Rome, when you have “been there and done that”, I suggest that you start to find little-hidden gems each time you go so that your time is Rome is memorable each time you come here. Take for instance the Aventine Keyhole. Ok, well by now maybe we can call it a semi-secret! 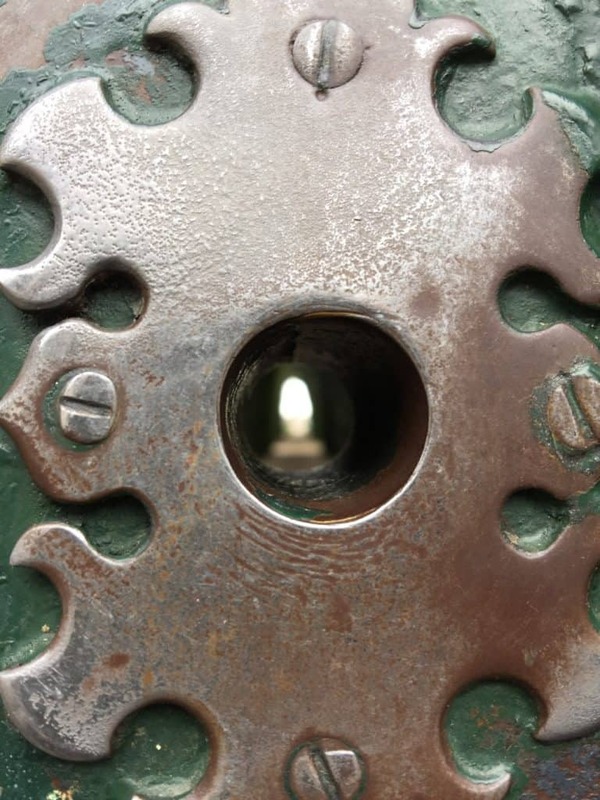 Just what exactly is the Aventine Keyhole? It the keyhole in the door of a small church known as the Santa Maria del Priorato. Santa Maria del Priorato is located at the headquarters of the Order of the Knights of Malta on Aventine Hill. This 18th-century church was built by the architect named Giovanni Battista Piranesi, whose architectural motifs in the building evoke sailings and the sea. Apparently, he was inspired by the longstanding tradition of Aventine Hill being compared to that of a ship. The keyhole allows you to peek inside to see 3 countries perfectly framed in the hole: Italy, the Vatican, and the Order of the Knights of Malta. The keyhole’s view lines up with the St. Peter’s Dome in the distance. No one seems to be able to know whether this was planned or just a lucky coincidence! Too bad my photo of the keyhole is not that good! Google it and you will see lots of great photos, so now I have to go back just to get a better image! Who knew there was an island right in the middle of Rome? I certainly didn’t, even though I had visited this island before on previous visits! I simply didn’t realize it was not attached to either side of the banks of the Tiber River! It is called Isola Tiberina, or Tiber Island. 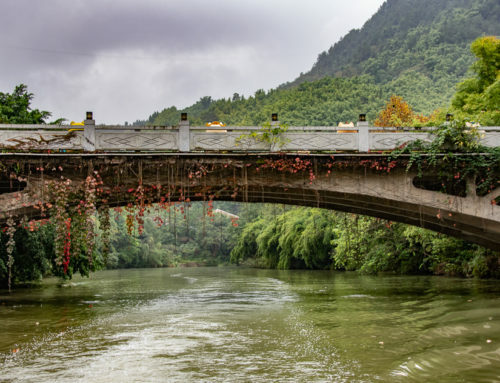 It is the world’s smallest inhabited island. 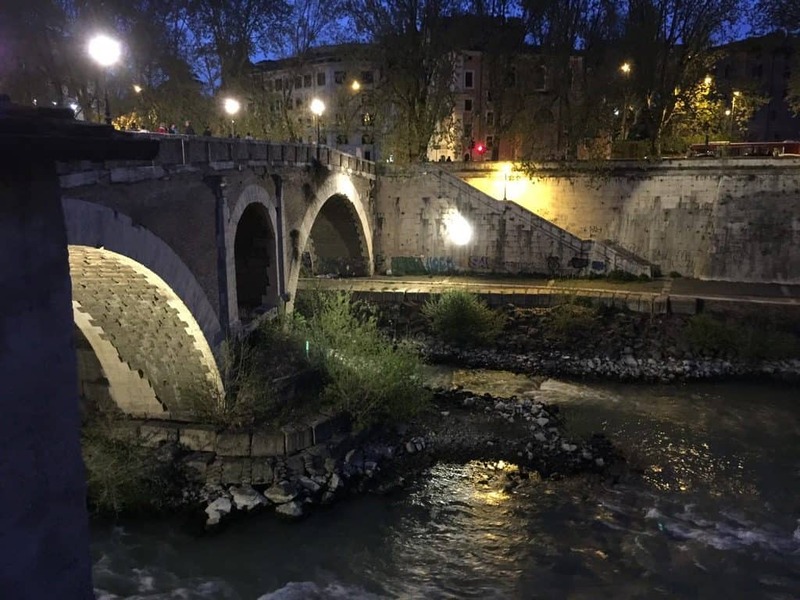 To get there, you only have to cross Rome’s oldest original bridge, the Ponte Fabricio, that was built in 62 BC! 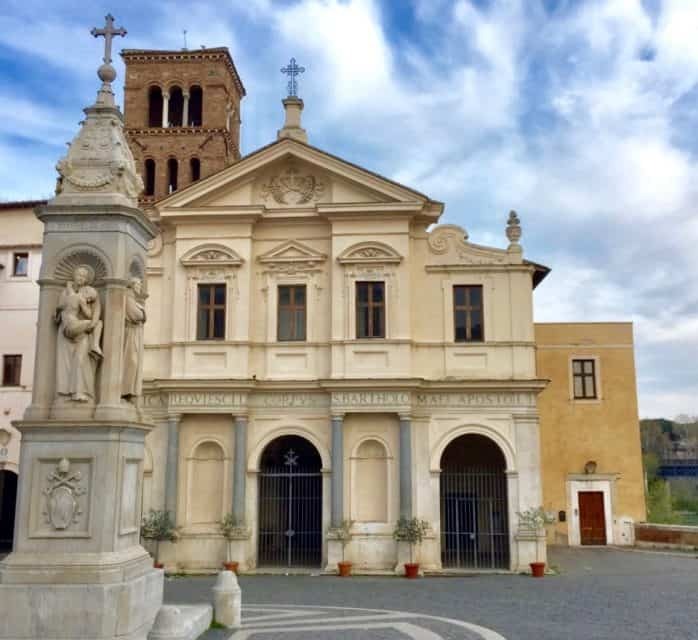 I have written an article about my intriguing time spent in Rome one night on this tiny island! View from INSIDE the only apartment on Tiber Island! 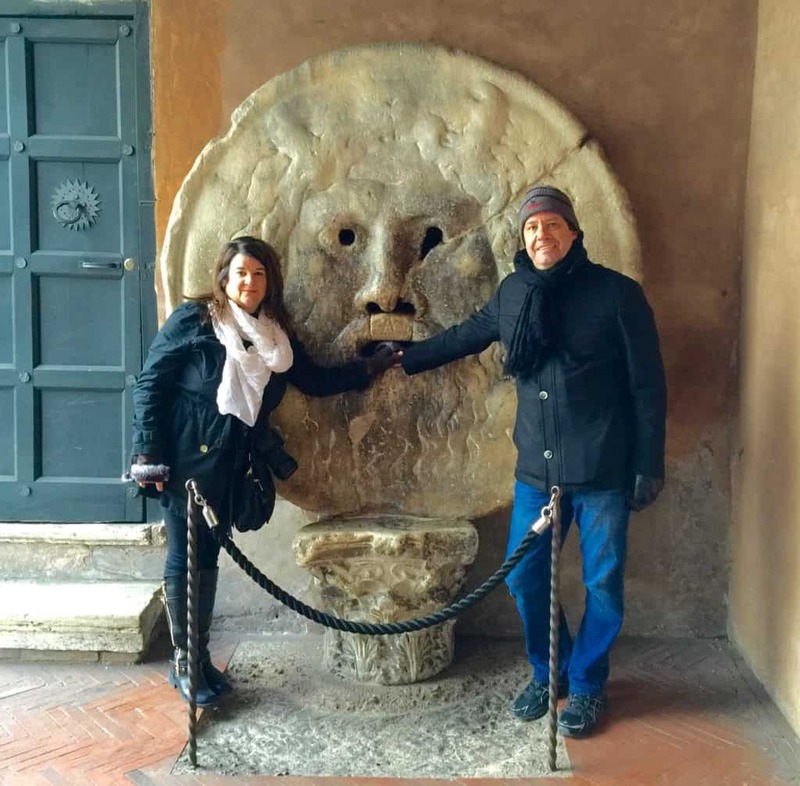 The Bocca della Verità or Mouth of Truth is an image of a face carved into a tall stone disc with hollow holes for eyes and a gaping mouth. It is housed in the entrance to the church of Santa Maria. Many say that this sculpture was part of an ancient Roman fountain that represents the god of the River Tiber. It is possible that it could be a drain covering! People believe that if you tell a lie with your hand in the mouth of the sculpture, it would be bitten off, so today, for some reason, people line up to have their photo take standing beside the Mouth of Truth with their hand near the mouth! In Roman Holiday, a classic film with Gregory Peck, he improvised a scene with Audrey Hepburn pretending that his hand had been bitten off by the Mouth of Truth! Visit the hidden world of whimsical and strange beauty in the smallest district in Rome, known as Quartiere Coppedè. 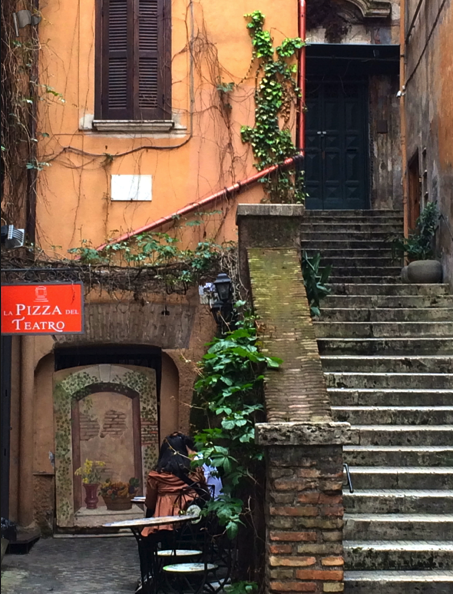 It is literally a secret neighborhood in Rome. 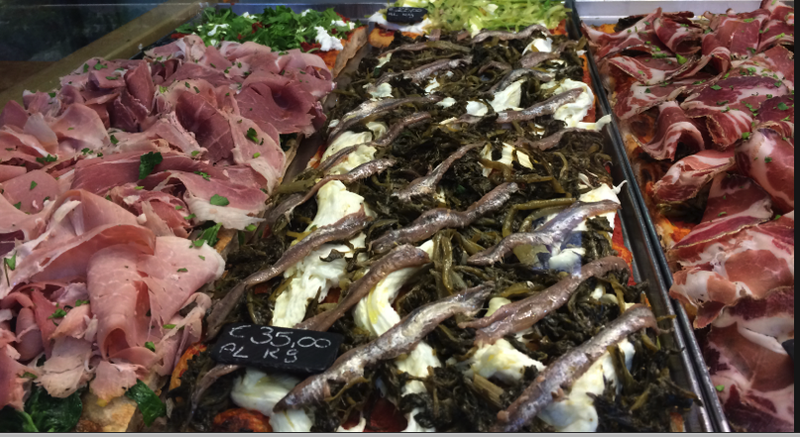 It is tucked behind the main streets of Quartiere Trieste between Piazza Buenos Aires and Via Tagliamento. Architect Gino Coppedè mixed together art nouveau, medieval, baroque, and some Greek styles to create Quartiere Coppedè. 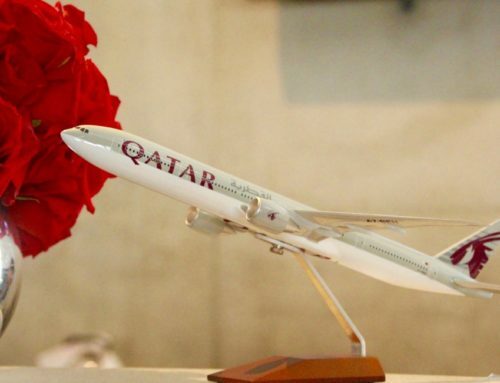 It is literally reminiscent to Gaudi’s architecture in Barcelona! Spend time in Rome, Italy from October to April. This is when most of the tourist crowds have disappeared. 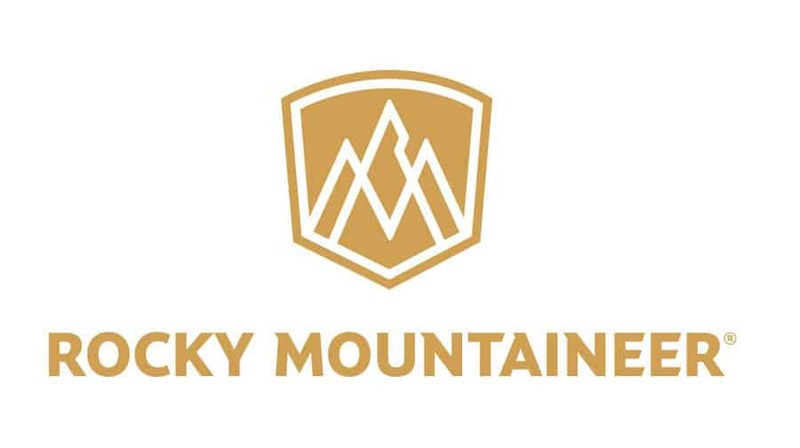 Plus the room rates are lower and you can find better deals. But bring a coat, as it tends to get cooler. 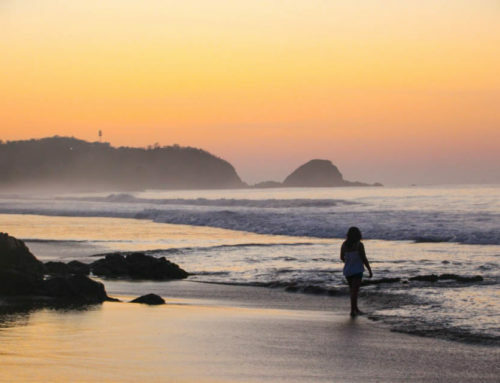 For the warmer weather, but without the throngs of tourists and the sweltering humidity — spend time in May or September – the shoulder season, when the kids are not quite out of school yet or are already back. During this time the average temperatures are between the 75-84 Farenheight. Disclosure: My tour with Context Tours was sponsored by them, but my love of pizza and gelato was inspired by my travels! There are affiliate links in this post. The Pizza looks amazing, Cindy, thanks for sharing the secrets. Will file this under what to eat when in Roma. Kalboz, of course I am, I just haven’t gotten there yet! Do you remember the name of it? I still have dinner tonight before I leave! Cindy, not sure about the name but the owner operator was an older lady with an African gentleman doubling as her waiter/busboy. They served lunch only until late afternoon for the vegetable market visitors and vendors. 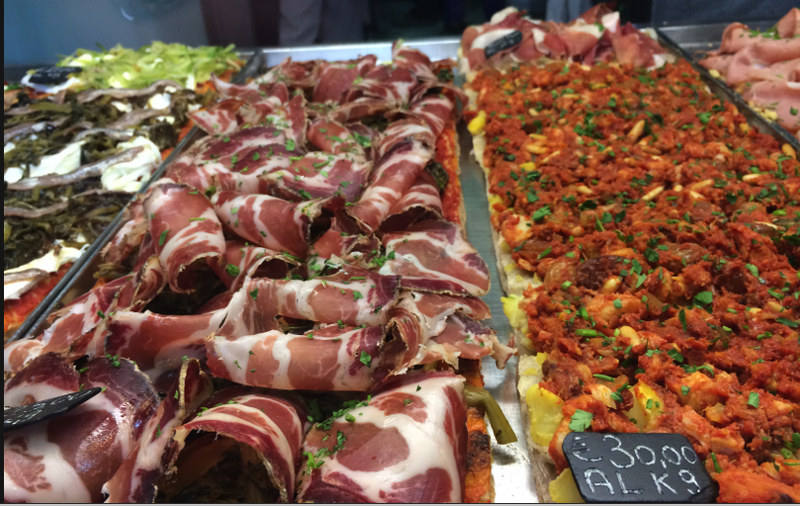 Delicious food while watching the bustling street market that extends to Campo de’ Fiori, a block away. Thank you for reminding me about this awesome Gelatoria. It was the most amazing place, and wow the flavors combinations! I would go back to Rome just for this place. And next time I’ll try the pizza above also. That’s what I did, for the gelato and then picket up pizza too! SCORE! Yummy yummy! 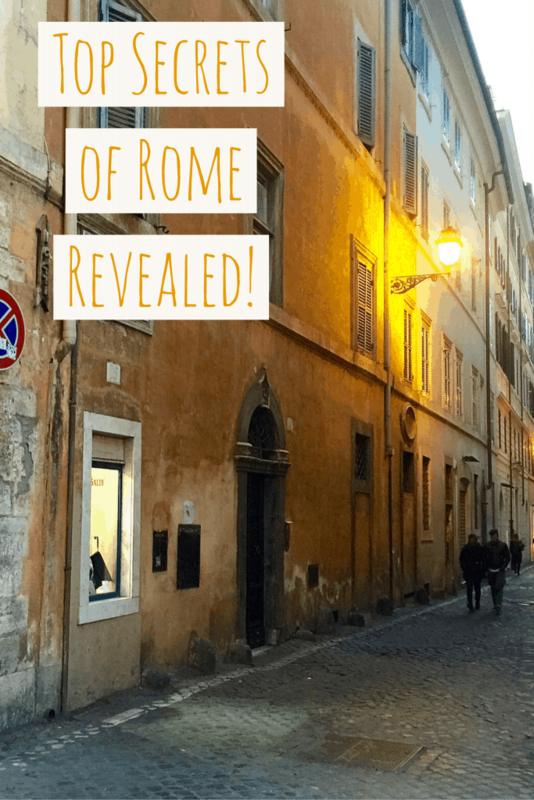 I am definitely adding these two places to my Rome itinerary! 😀 Thanks for sharing! 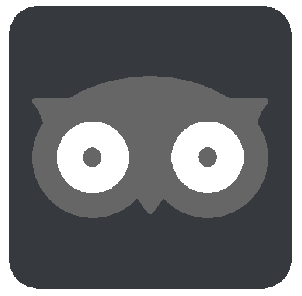 If you find other great places, let me know!